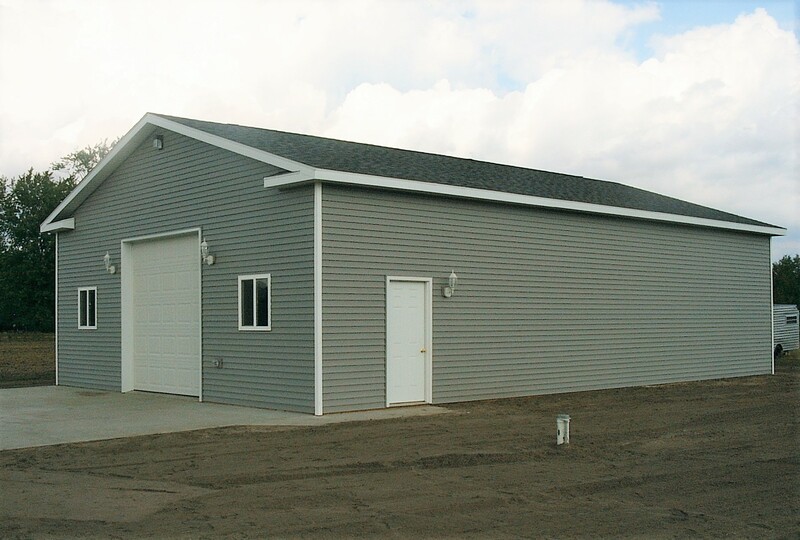 This project included site work, concrete and framing materials, siding and labor. Added features were over hangs to match home on gable ends. The vinyl siding was also installed opposed to steal to match home. Before you call your contractor here are a few things to know first. 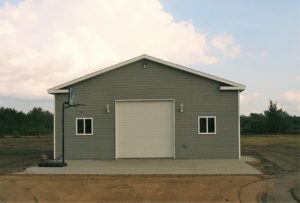 How large of an overhead door will you need? If you are storing a RV or any other tall equipment inside this needs to be considered. This will help determine the height of the sidewalls as well. Will you want steel siding/roofing or vinyl siding with shingles, windows or additional entrance doors? 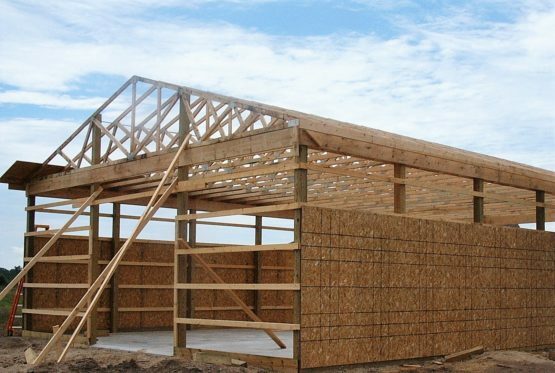 Will you want electrical run through the barn? Does your site need excavating and will you want a concrete floor?